so I got this tshirt for my birthday from the hubs and i love it. 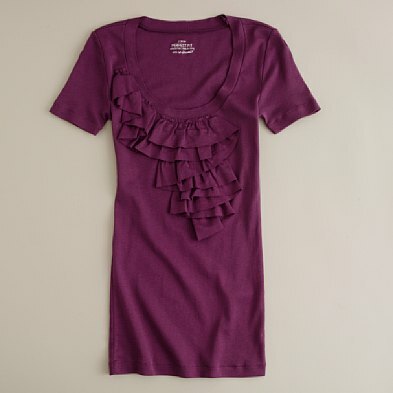 perfect fit, awesome color, cute detail. after wearing it a couple of times I decided that I wanted a white one. sold out. bummer. i made it today and took a few photos to hopefully help some of you ladies in blogland make your own! i had a white L.A. Made tshirt that i got for free at market (magic in vegas) this summer and decided to use it...the tshirt scraps i had from my gameday dress making days. so this cute top was totally free for me! i encourage you to just find a cheap fitted tee from target and then a matching tshirt in your closet from your college days. 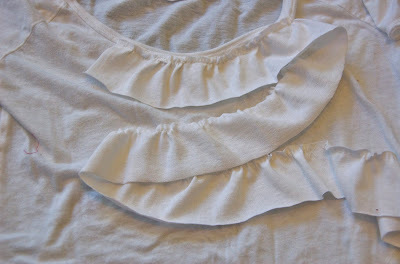 cut your ruffle strips from your old tshirt. 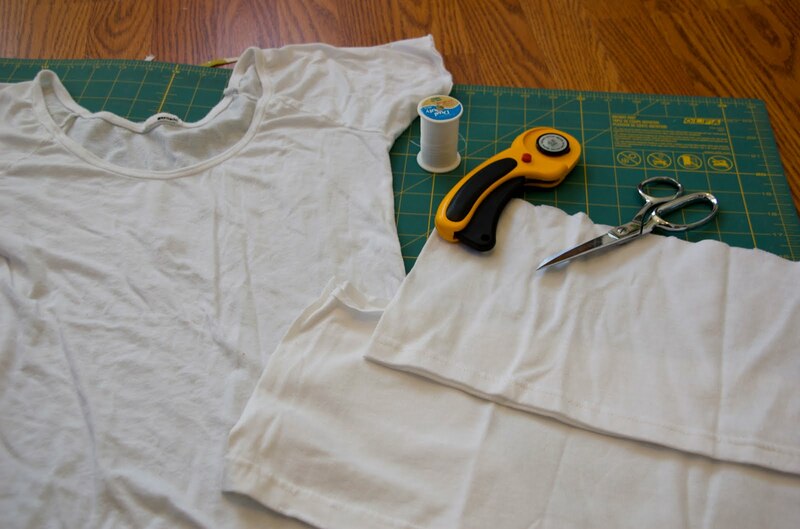 i cut mine 2 inches wide and as long as the tshirt would allow. 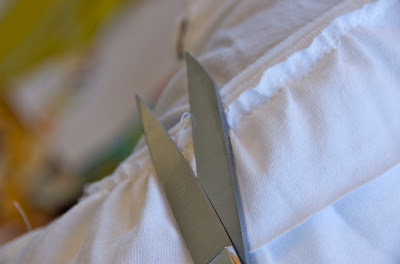 i only cut two, but ended up cutting another. 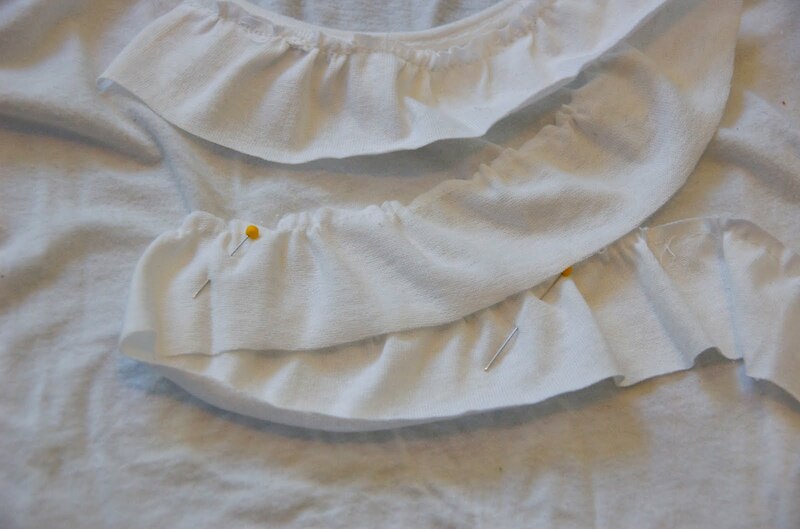 overall, you should need approximately 80" of the "ruffle strip." 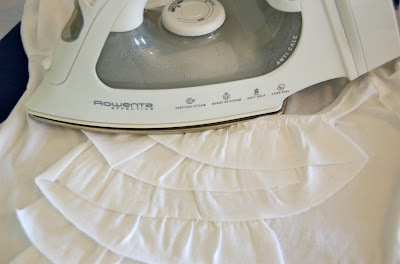 this will decrease when you actually ruffle, but you know the drill. 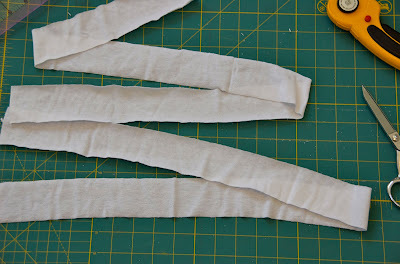 gather/ruffle those strips! thankfully, knit gathers pretty easily so i just i just put my sewing machine on the longest stitch length and went for it. 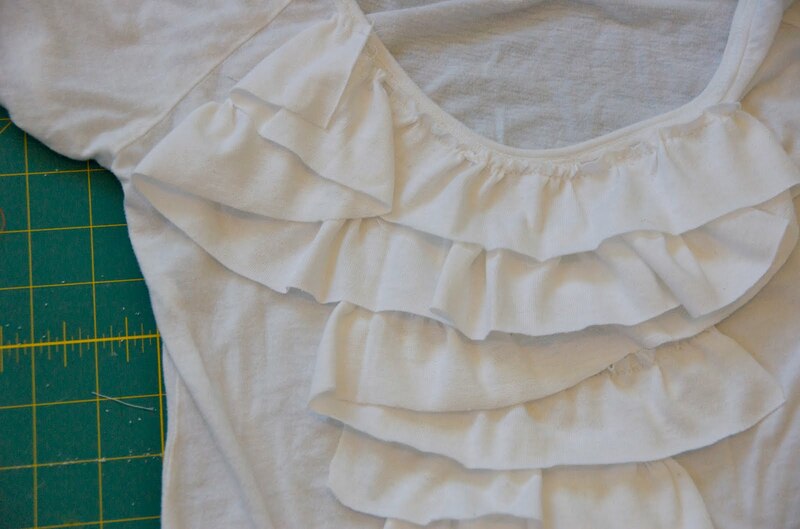 after that, i just pulled a stitch every 3 inches or sew to give a little bit more ruffle. 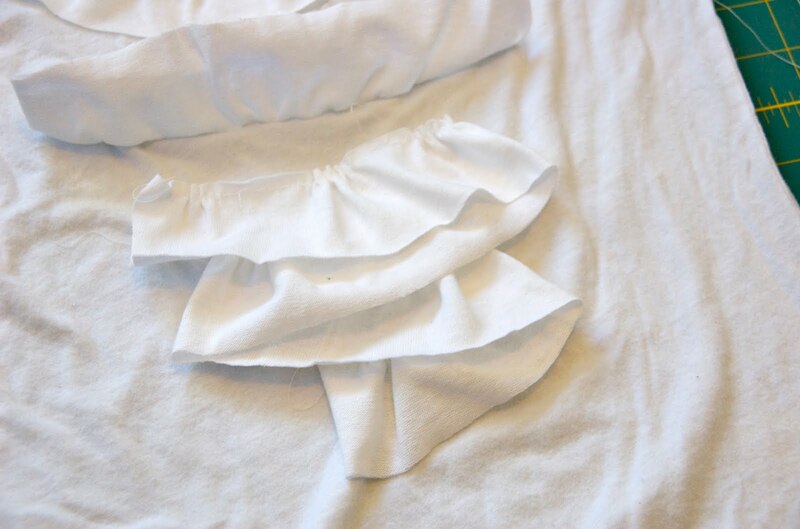 place the first ruffle piece (there are three) and pin it in place. place zig zag number 3, pin and stitch in place. it will overlap and then go under your first "zig zag"
clip your excess strings (inside & out). there will be a lot! that is so stinking cute! i love it. and i love your skirt. Love the t-shirt. I'm SO impressed! I'm literally going to try it <>! I have the perfect t-shirt for that! Janet - you should say you're SEW impressed. I wonder where I get my quirky sense of humor??? 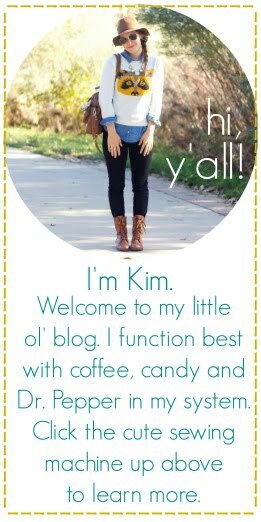 Great job Kimmie-Lou-Who...wish your talents could have been shared w/your cousin, lol. Guess it didn't come from CharlieRay's side. SHUTUP! you are so awesome! What a talent God has given you. you are so talented!! your shirt looks awesome! 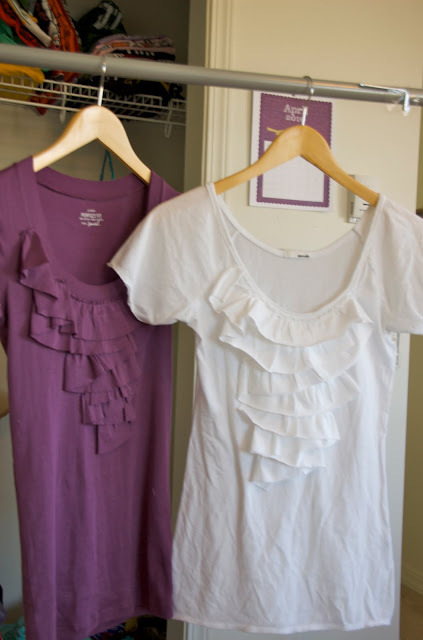 Haha, I just did this same shirt tutorial a couple days ago, and was lazy about posting it. 'Seems I've been beat to the punch! Good job! Wow! You are amazing! I have got to give this a try! Thanks! omg, what a GREAT tutorial!! 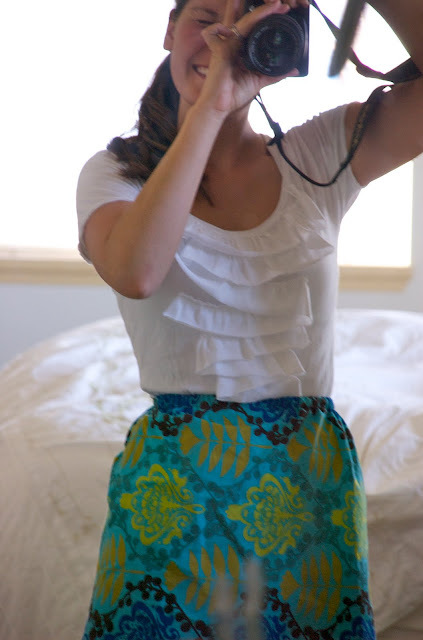 i totally want to try and make this someday!! thanks for sharing it! i heart ruffles!!!! that. is. amazing. 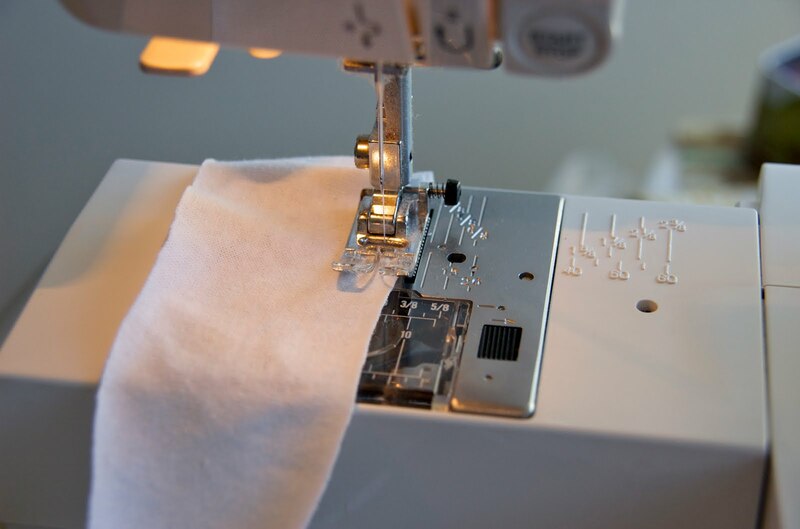 can you come teach me how to thread my sewing machine? i know i've been taught how to do it like 4 times now, but i. just. can't. remember. OH I Love that shirt!!! Great Job! !